Last night, our new most favorite Premiership club came to Yankee Stadium for an exhibition match against Chelsea. 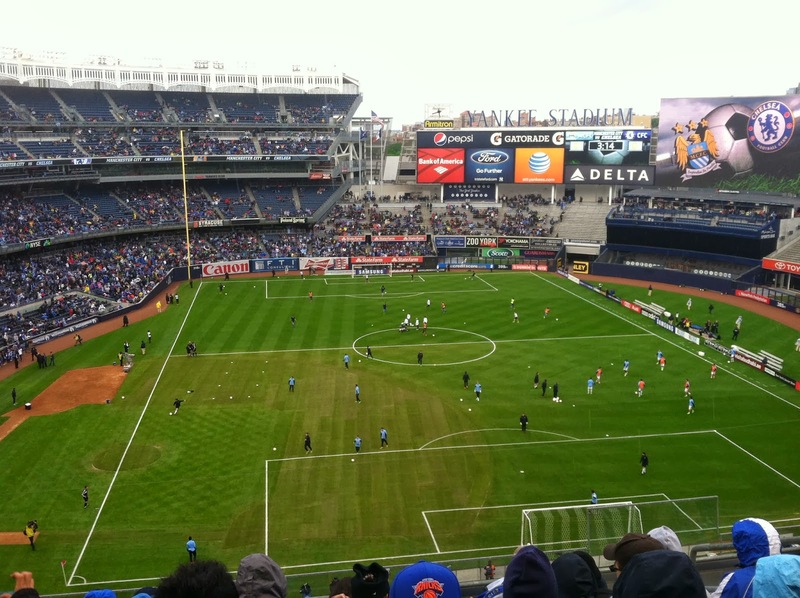 That sky blue and white looked pretty good against the turf at the Stadium. 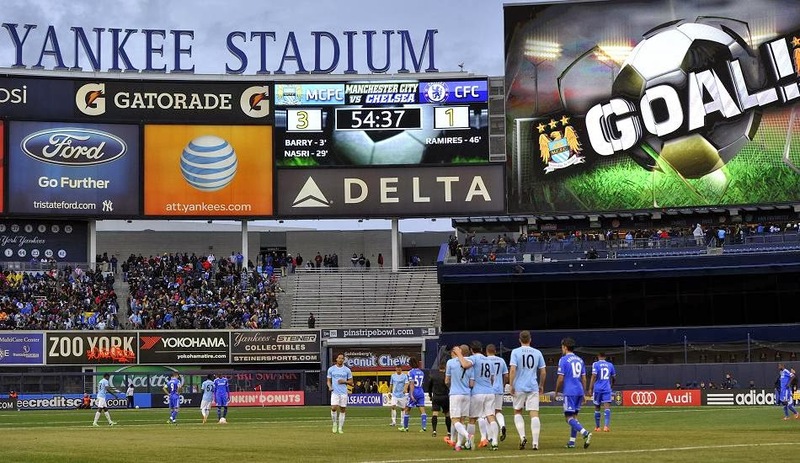 Man City won, 5-3. 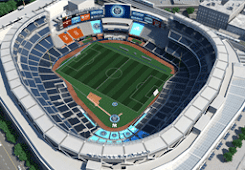 Although the game was originally billed as a neutral-site friendly, the recent New York City FC announcement made this match feel, to the New York Times, "like a trial run for the possibility that a soccer team could call the stadium home, even for a short time." 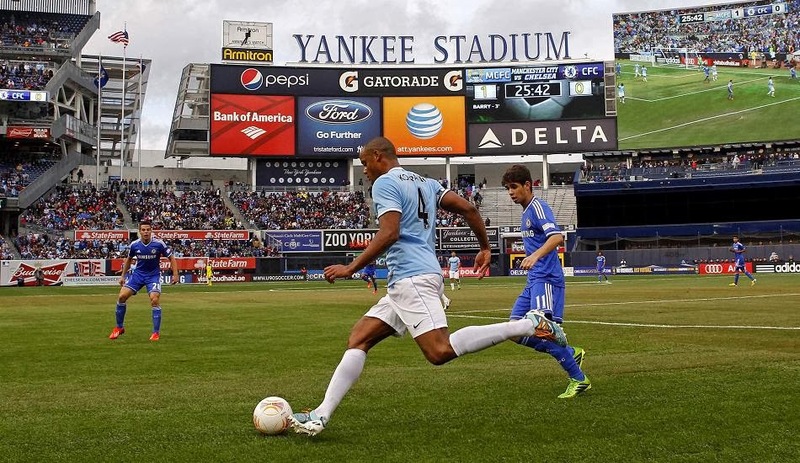 Although the crowd was definitely tilted in Chelsea's favor, Man City made the most of their new New York connection. 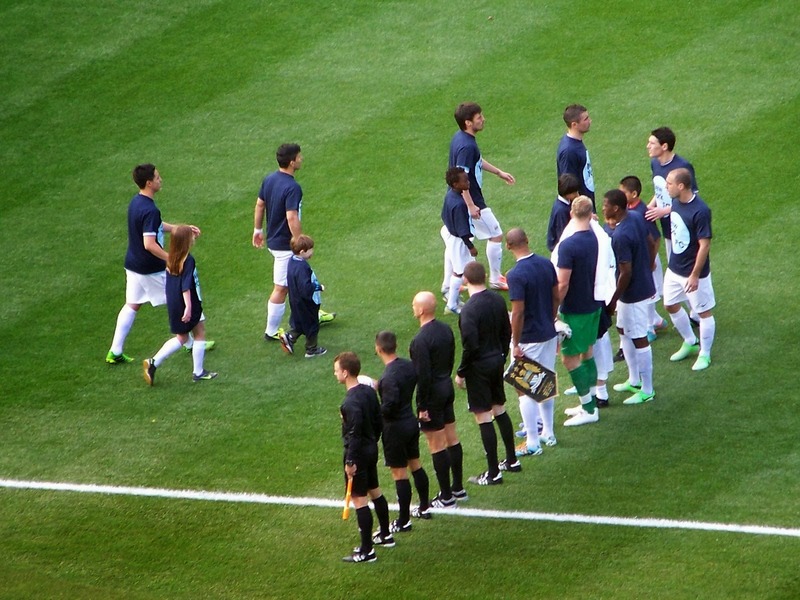 The players took the field for their introduction in NYCFC tshirts.